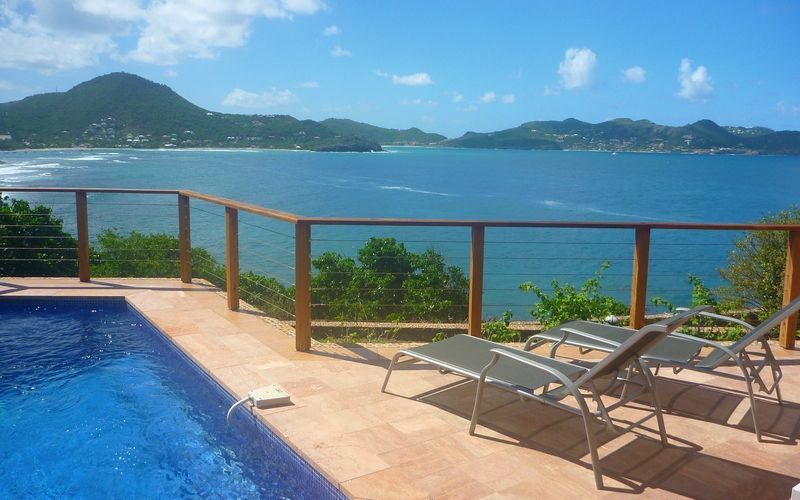 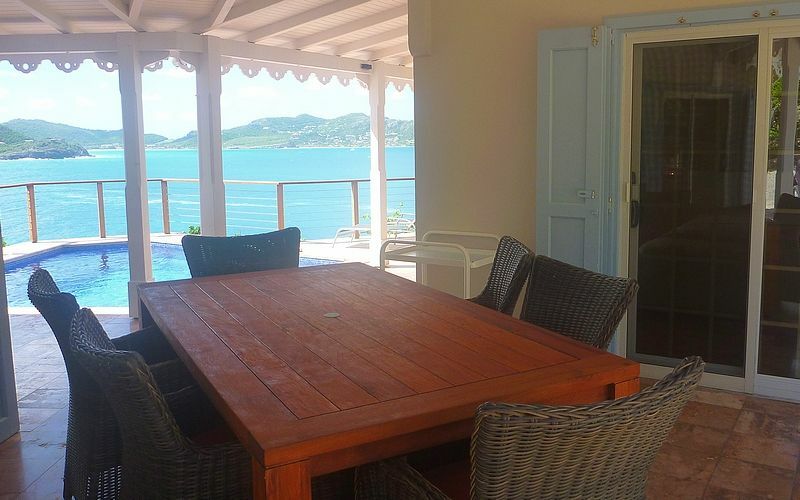 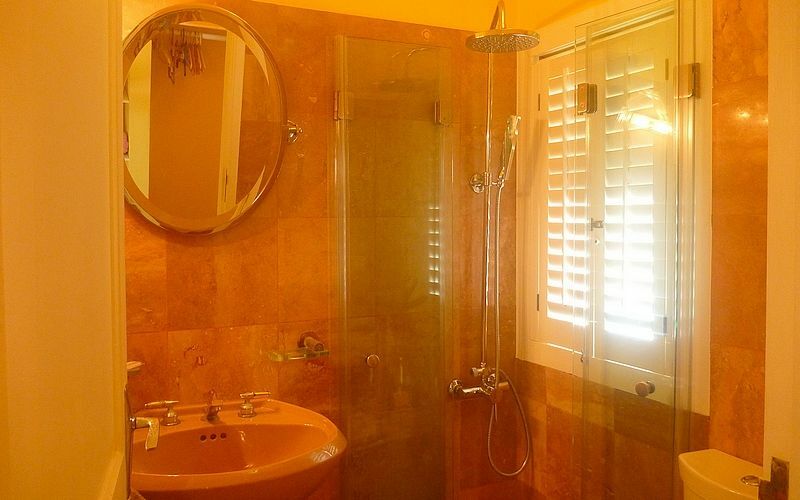 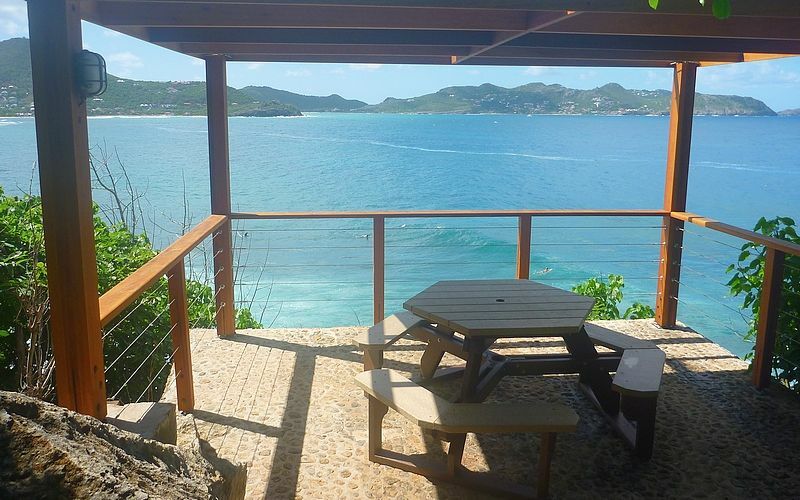 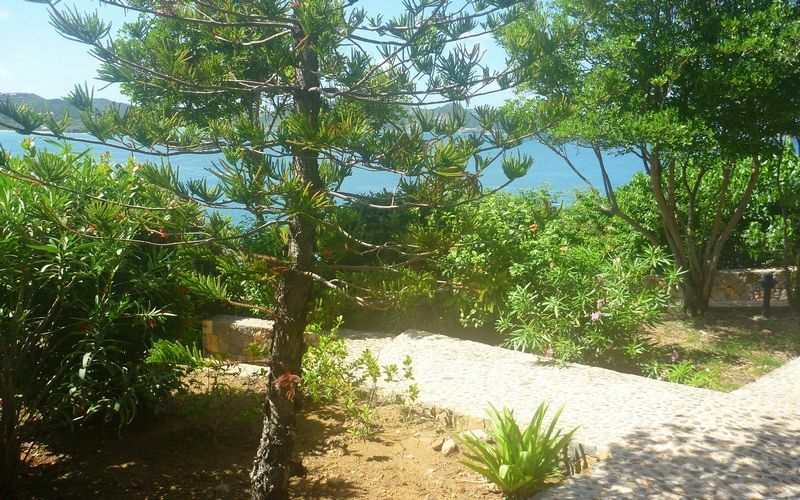 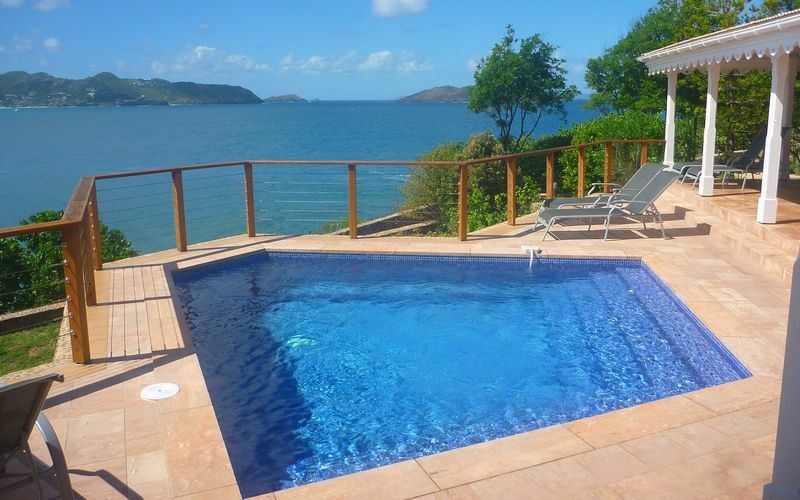 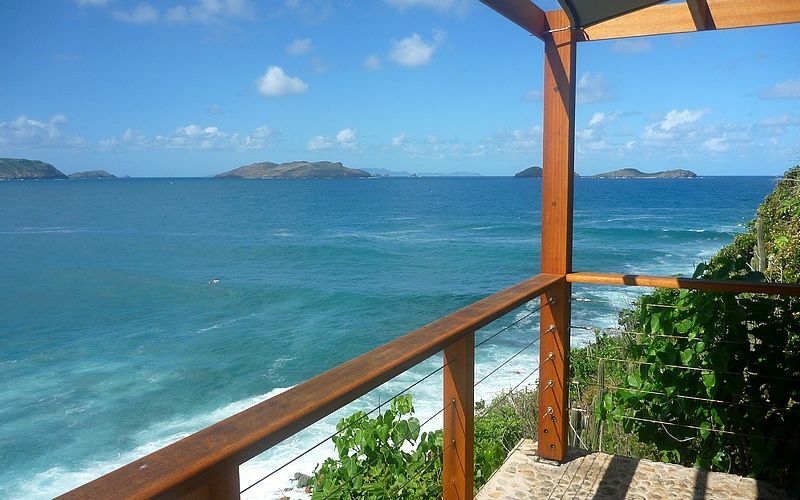 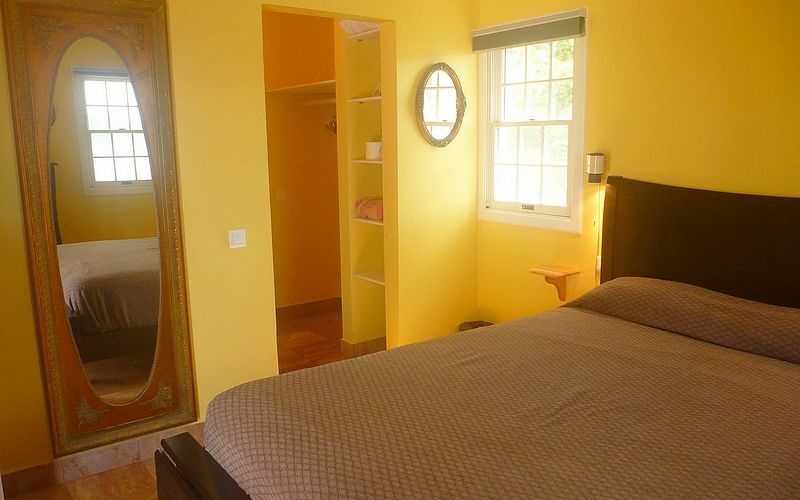 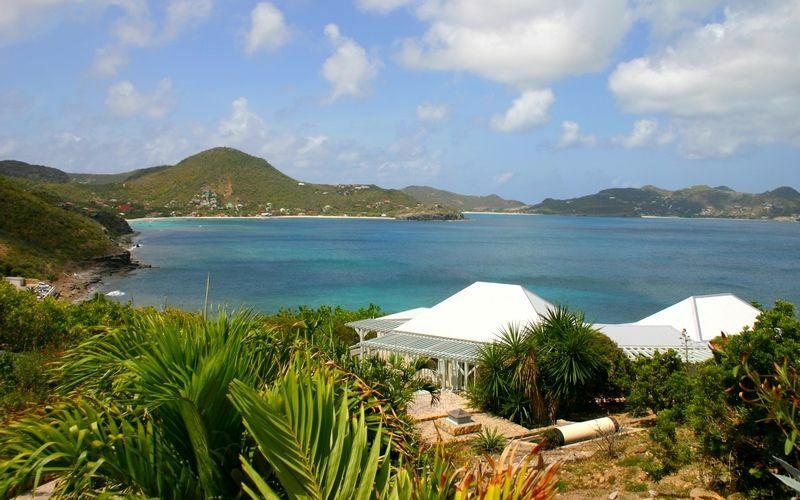 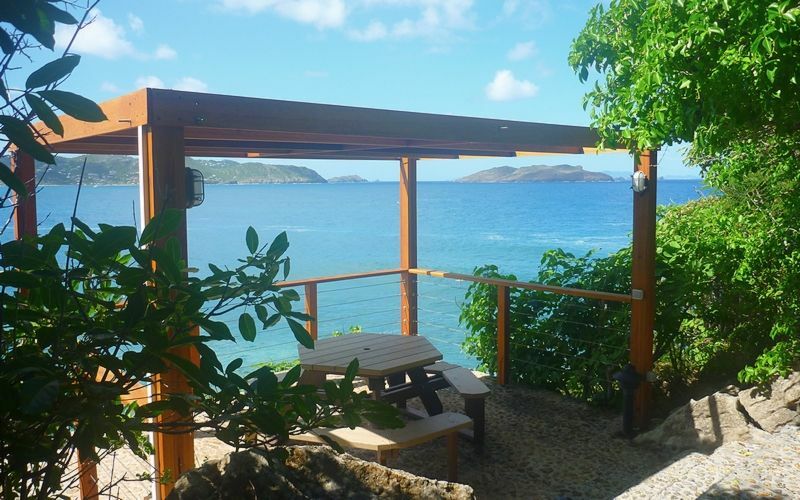 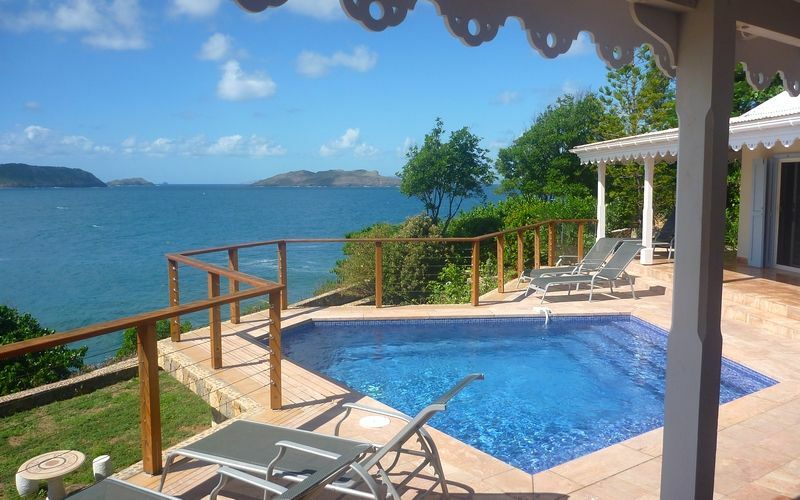 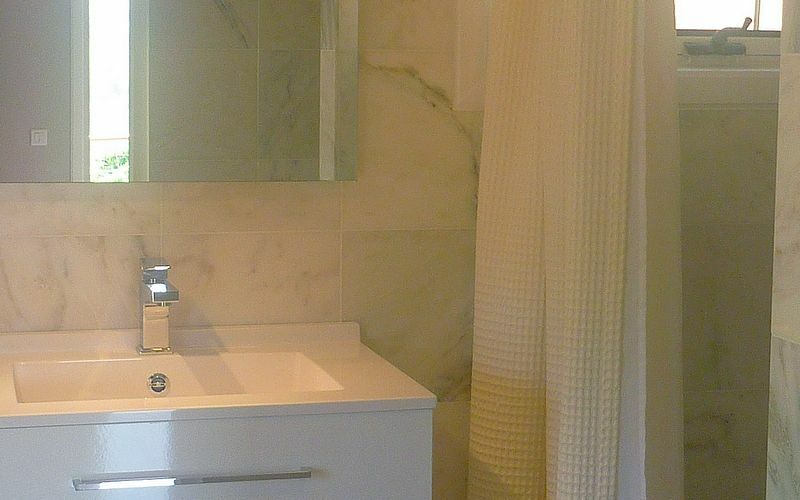 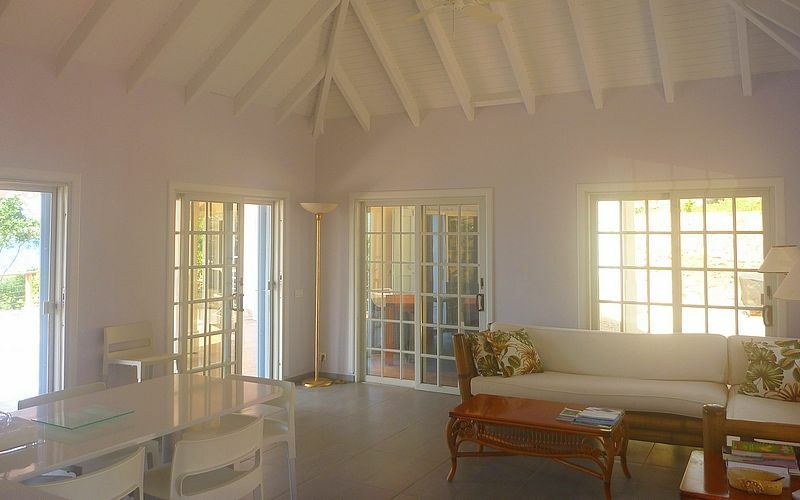 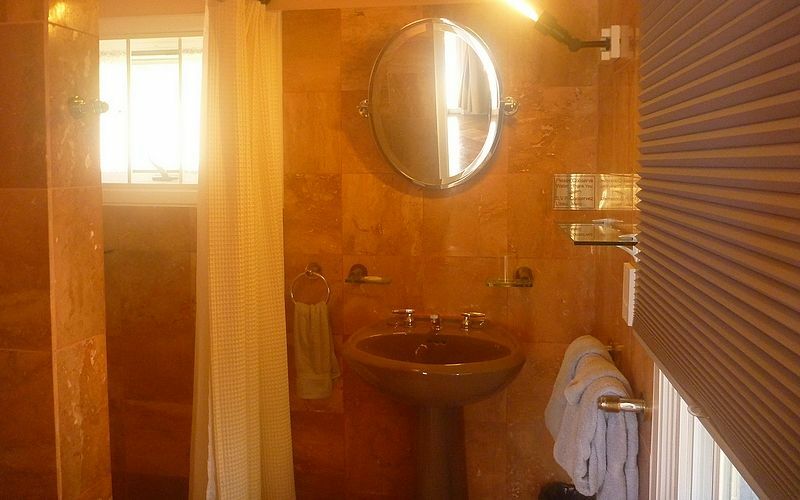 Located at St Barts – Pointe Milou, a charming little home very well located with a wonderful view overlooking the ocean. 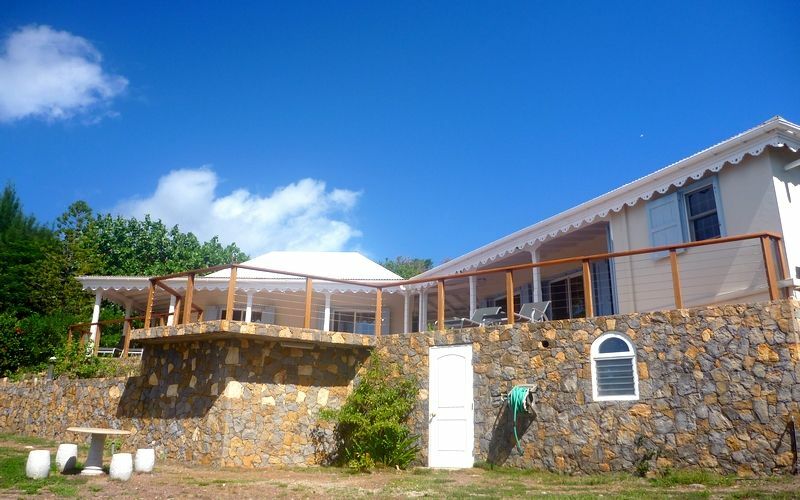 3 bedrooms (one is smaller), 3 bathrooms, living-room, patio, covered terrace, sunny terrace, garden and a path to the ocean, a nice walk with a gazebo facing the deep blue water. 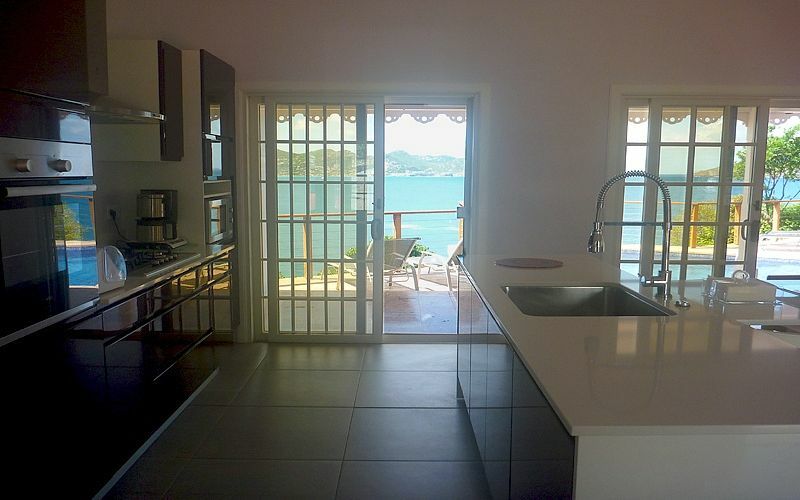 Table for up to 6 persons including complete setting, Well equipped kitchen open onto the terrace, Beautiful sea view. 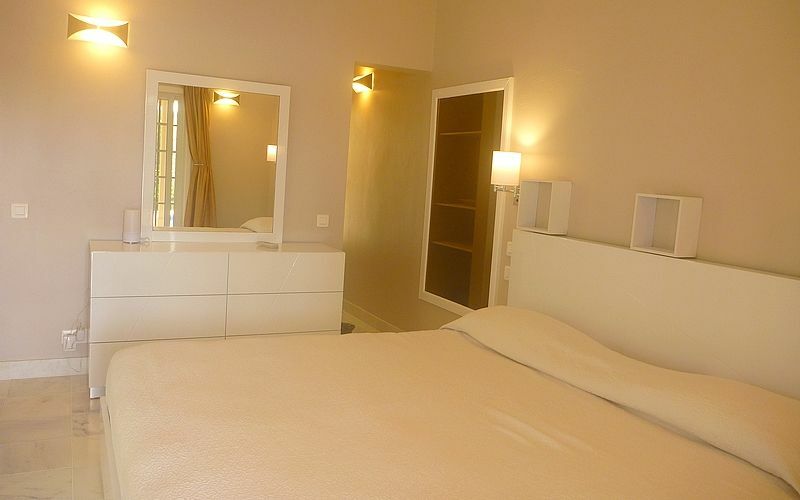 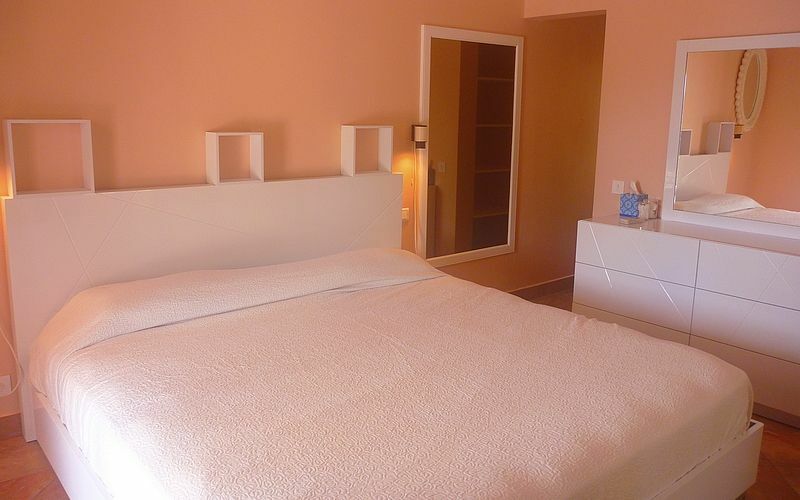 Two bedrooms which can be connected, One smaller bedroom on the other side of the living-room.